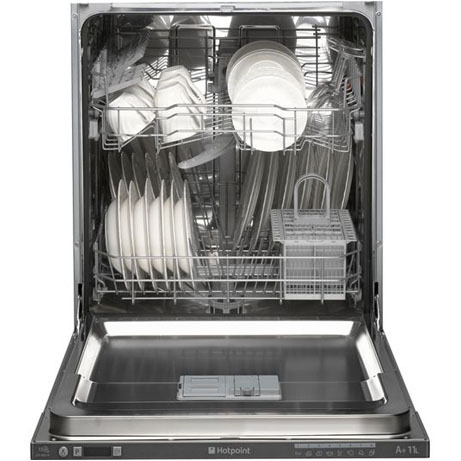 This Hotpoint Dishwasher is ideal for most kitchen spaces and can clean up to 13 complete place settings at once. 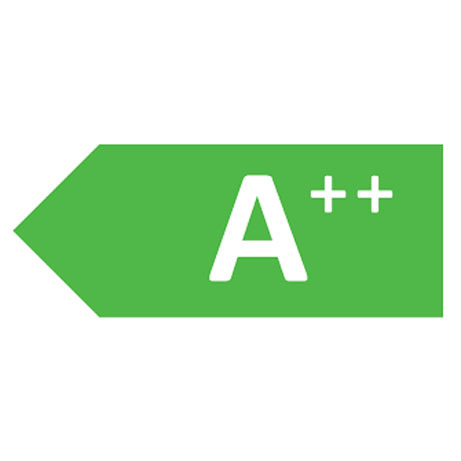 It has an efficient A+ energy rating, so it’s kind on the environment, as well as your pocket. There are 8 programmes to choose from, which will give you plenty of options when it comes to getting perfect results. 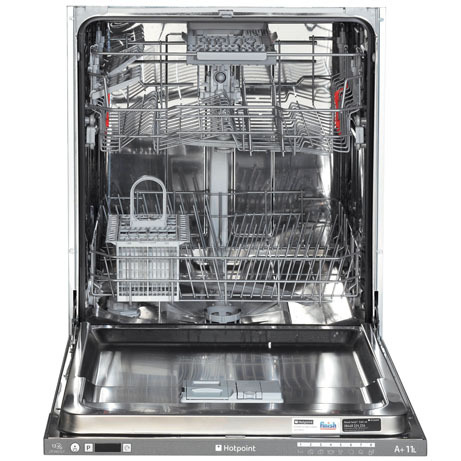 This model also has adjustable DualSpace top racking, which makes washing larger items really easy – great if you’re cleaning up after a large family roast. You can make savings on your household utility bills as this appliance offers an A+ energy efficiency rating, which will also stay kind to the environment. 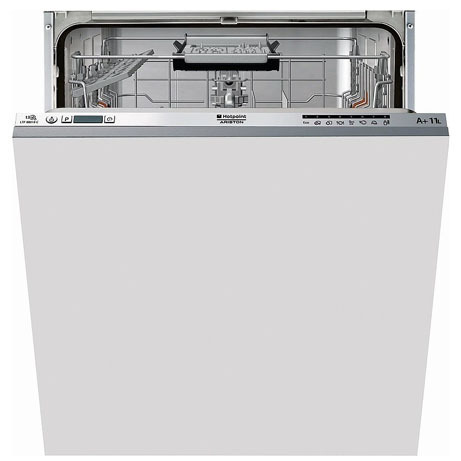 Plus, clean up quickly and efficiently after large family meals as this Hotpoint features a large 13 table place setting capacity. Destroy up to 99.99% of bacteria with the special baby cycle which destroys harmful germs that can grow on babies bottles with high temperatures, when placed in the specially dedicated tray. You can also keep your kitchenware hygienically clean with the Hygiene + antibacterial wall linings, which prevent the build-up of bacteria and mould inside your appliance. You’ll rarely have to resort to hand washing your bulkiest pots and pans thanks to the Dual Space basket design, which allows you to adjust the height of your top rack to create extra height below. Designed with versatility in mind, Flexiload lets you alter the set-up of the interior cavity, with special colour coding to guide you towards exceptional space creation for larger pots and dishes. Our integrated prices are based on your kitchen and yours alone so please give us a call so we can ask a few questions and make sure the price we give you is for the complete deal.